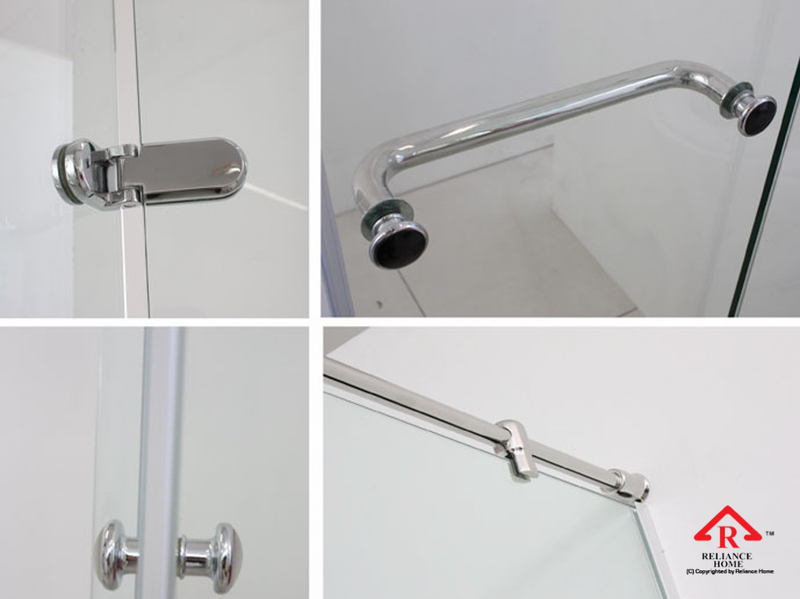 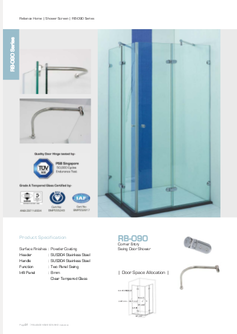 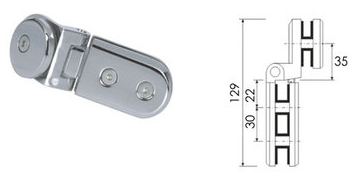 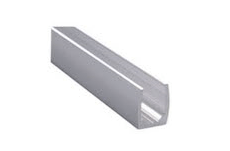 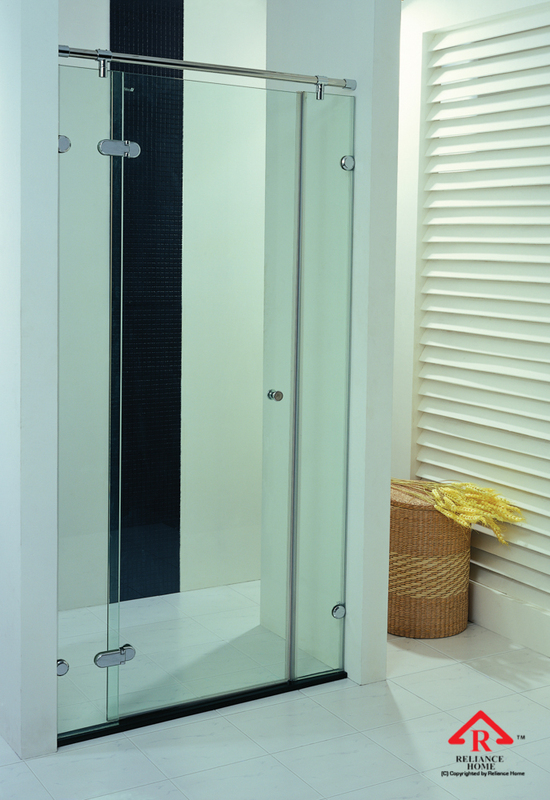 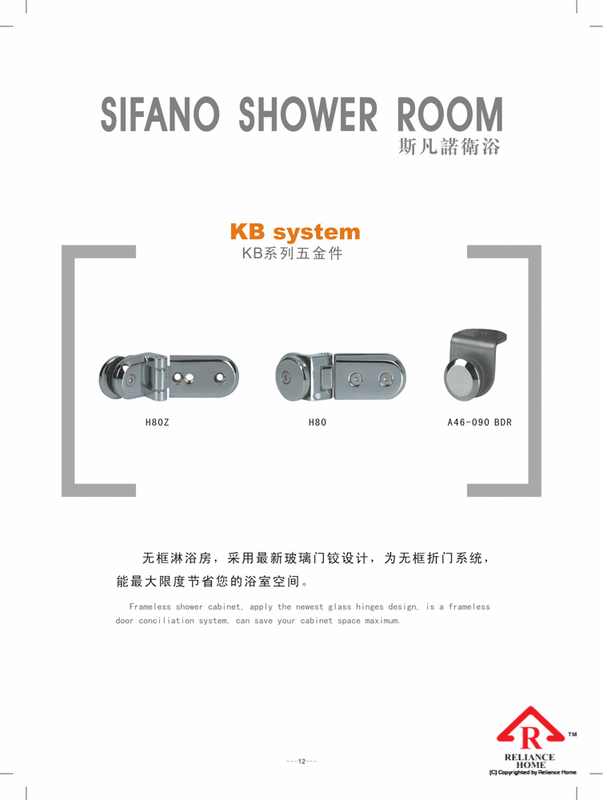 RB090 is a L shape shower series for corner entry design. 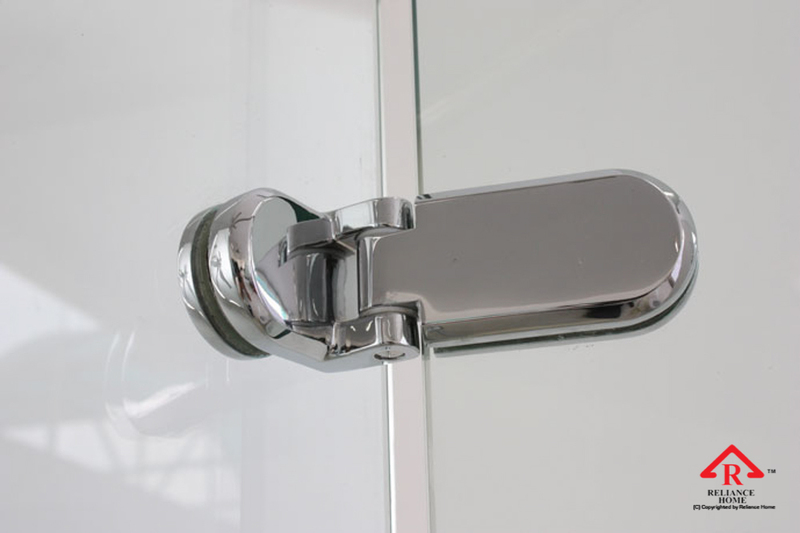 It is made of brass chromed with glossy polish. 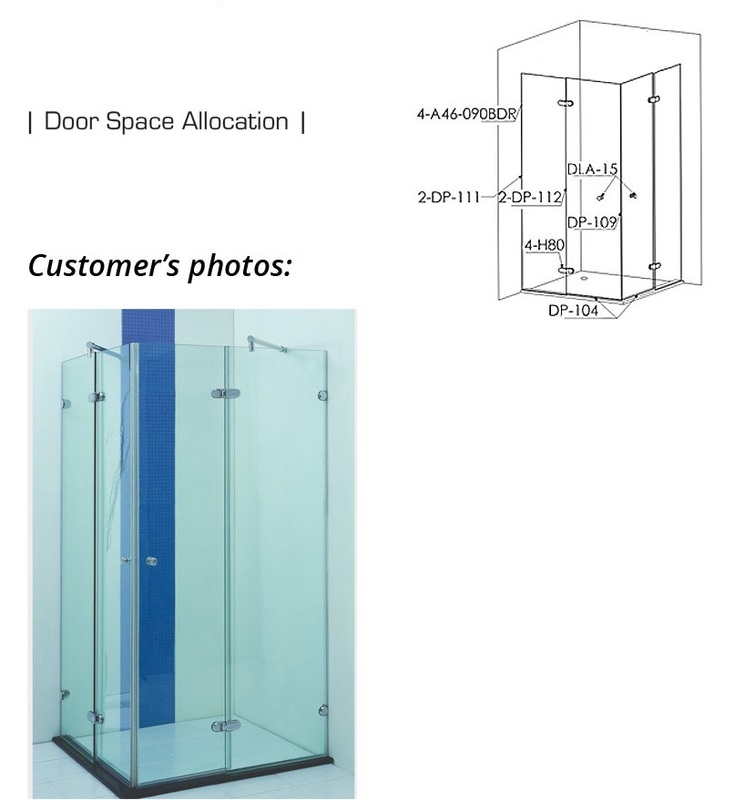 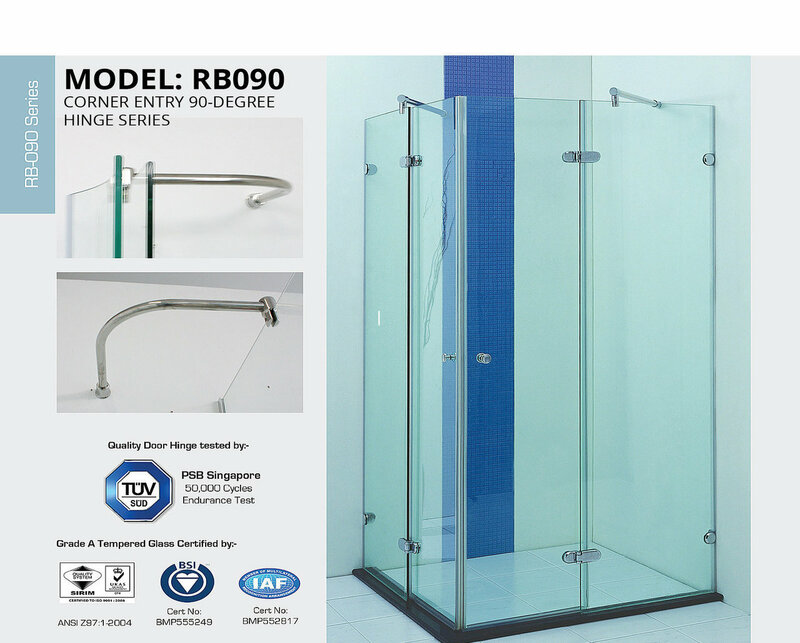 RB090 consists of two glass door at the corner, center access for those who have limited access at each side. 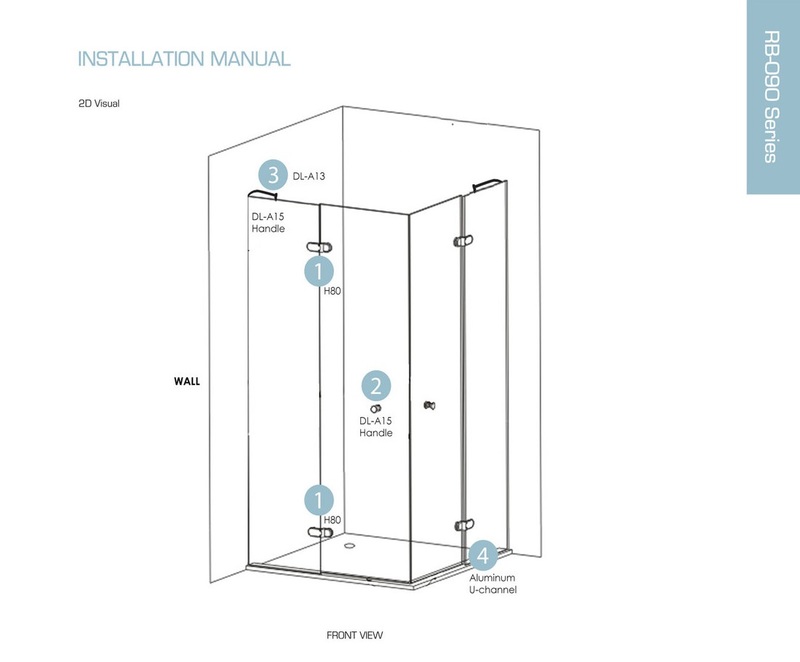 glass door is attached to glass panel than wall in 90-degree.